The spectacular West End debut production of Dreamgirls will play its final performance at the Savoy Theatre on Saturday 12 January 2019, it has been announced. 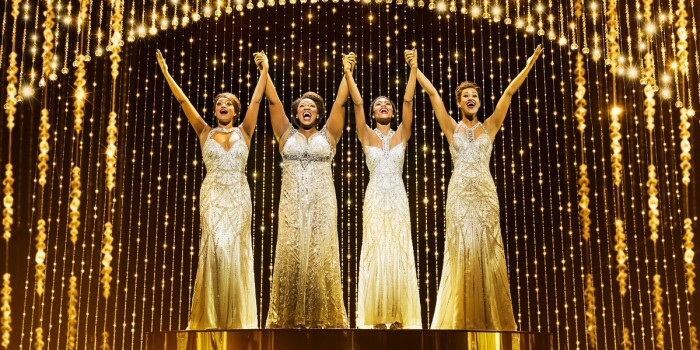 Completing a run of more than two acclaimed years in the West End, Sonia Friedman Productions’ Dreamgirls will subsequently head out on a UK tour, with full dates to be announced in due course. Drawing inspiration from the career stories of R&B acts including James Brown, Jackie Wilson and The Shirelles, and arriving thirty-five years after the groundbreaking original Broadway production, Dreamgirls follows the tumultuous journey of a young female singing trio from Chicago, Illinois, called ‘The Dreams’. In 2016, the iconic musical made its UK and West End premiere in London with a cast originally led by Glee star Amber Riley, before Marisha Wallace, Moya Angela and Karen Mav assumed her role as Effie White in November 2017. The spectacular musical production soars with composer Henry Krieger’s classic songs: And I Am Telling You I’m Not Going, I Am Changing, Listen, One Night Only – and more. Dreamgirls is directed and choreographed by the Olivier and Tony Award-winning Casey Nicholaw (The Book Of Mormon, Disney’s Aladdin and Something Rotten!). With book and lyrics by Tom Eyen and Music by Henry Krieger, the original Broadway production of Dreamgirls, directed and choreographed by Michael Bennett, opened in 1981 and subsequently won six Tony Awards. “And I am tellin’ you”, don’t miss it: book your Dreamgirls tickets today.